There’s a sense that the developers at Visual Concepts would be hard-pressed to evolve the NBA 2K formula for the second time, in the same way they accomplished the feat at the turn of the current decade. Basketball simulations have come a long way since the days of Inside Drive and the long-forgotten heyday of EA’s Live series. 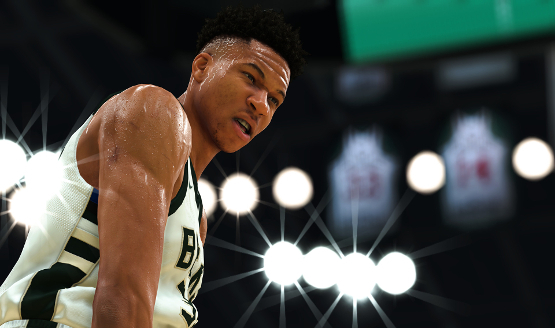 That sense of hopeful revolution accompanied with the measured reality that the 2K games have all but maxed out the potential of the sport is at the heart of NBA 2K19. The game treads a path that many in the sports sim community will be familiar with, as back-to-back releases usher in a new era only for the status quo to tick forward at a snail’s pace for years to come. While Visual Concepts is the least offending party among a string of FIFA titles that can barely be distinguished and an unfortunate time for the NHL fan community, 2K19 is more of the same in some significant ways. However, what isn’t so easy to ignore is the missed opportunity to focus on what NBA 2K does best, as opposed to trying to fit a hundred modes and a hundred more variations into the game—a familiar example of quantity over quality. Before getting into any game mode-talk, it’s important to establish the link that flows through every part of the adventure: gameplay. The best news I can give you about NBA 2K19 is that its new gameplay additions and tweaks are by far it’s most impressive component. There’s a sense of weight to every movement and a decisiveness about your on-court choices. Playing against the AI on higher difficulties is the best way to highlight these significant changes. Besides the fix to animations, which mostly prevents players from clipping through one another, what is most noticeable is the physicality in the paint and the behavior of CPU teams and players. While I previously felt helpless when defending big forwards and centers near the rim, which consequently threw off my game and caused even more problems, I found myself looking inward instead of using every bucket I conceded to have a go at the game’s systems. The accurate mapping of animations and movement acts as a tutorial or training ground of sorts, wherein the logical outcomes of one versus one battles in the paint train your mind to counter those same moves the next time the opposing team tries them. This results in a cat-and-mouse game of sorts where I would continue to abuse both human-controlled and AI players with a similar attacking play until it forced them to change up their strategy—thus making every possession of the ball a chance to slowly read the field and come up with a new strategy on the fly. All of these significant outcomes result from the minute changes to a single system, which is exactly the kinds of changes sports game developers should be focusing on during years where there isn’t a marquee innovation. Other additions include a new on-fire system that adds to this cat-and-mouse game where players can set-up their shooters with a hot hand or dictate the play with point guards that pick out ludicrous passes. Doing so thus triggers the new Takeover System that gives your players some position-specific bonuses during that time. It makes for a game that feels more academic as opposed to past titles that would usually drivel down to an arcade romp. Now here is where I have a real problem with NBA 2K19 in particular, both in-game and through the process of writing of this review. There is so much content in the game that it becomes a case of questioning what one, single feature they added to your favorite new mode—one of, seemingly, two hundred available in the game—as opposed to expecting significant changes in the four or five modes that really should be present. Do you enjoy your basketball away from official stadiums and league standings? Are you looking to make some money playing 2K professionally? Do you want to take your favorite team’s squad to an NBA Championship victory? Do you really only care about MyCareer? Every mode in the game features tepid additions that make you wonder why the developers even decided to include so many in the first place. Sure, the microtransaction nightmare of previous titles has been toned down with less egregious requirements for your players to grow and customize, but I kept asking myself why Visual Concepts didn’t simply take the Bungie route and allow players to earn currency and the like by focusing on core modes instead of what amounts to fan-requested, PC mods that are simply not deep enough. This year’s MyCareer is a great example of this odd obsession with quantity as there’s just so many cutscenes between playable sequences. They wouldn’t have been so bad if the motion capture and animations were overhauled to look more like modern-day cutscenes. Now, I know what you’re thinking; it’s simply impossible to develop that much content at that high quality with a year’s turnaround. And you’d be right, but then why have so many cutscenes in the first place? Just think about the underlying logic for a second. Like the main offering, the gameplay in MyCareer is spectacular and worth your time as you build up your character from the humble beginnings of the Chinese league. However, the overall design of the mode and the focus on shoving in as much content as possible is similar to the rest of the game in its obsession for more content instead of better content. As a fan of the FIFA series, I always looked to NBA 2K‘s ridiculous amount of content and modes as a blueprint for EA Sports to copy, but FIFA‘s set-up of three core modes that spiral into a dozen different variations is far more appropriate for a yearly sports title where fans of different subcommunities exist. While the same can be said about a lack of addition in Ultimate Team and both the Pro-Am and MyGM equivalents in the FIFA games, what is there never stretches itself out too thin. I mean, why is the production value of MyGM so shockingly low? It’s simply a direct result of quantity over quality. If you’re going to put it into the game, you have to go all out. Between a few novel minigames in Neighborhood and some simple esports integration, 2K19 sometimes feels like a title update as opposed to a full-blown sequel. But what really matters, the basketball, is better than it’s ever been. While I may have gripes with the design of the game outside of the court, NBA 2K19‘s mechanics are almost perfect in every imaginable way, and that is no small feat! Having played all manner of sports games this generation, it seems as though different developers are interpreting what it means to release a yearly title in different ways. While I understand the core 2K audience enjoying what they’re given, there has to be a sense of quality control before the series turns into a games-as-a-service nightmare instead of a proper, AAA release with all the bells and whistles that fans expect ready at release and polished to a T.
NBA 2K19 review code provided by publisher. Version 1.01 reviewed on PS4 Pro. For more information on scoring please see our Review Policy here.